Professor Bashir, the first woman to be appointed Governor of New South Wales, took up her office on 1 March 2001. 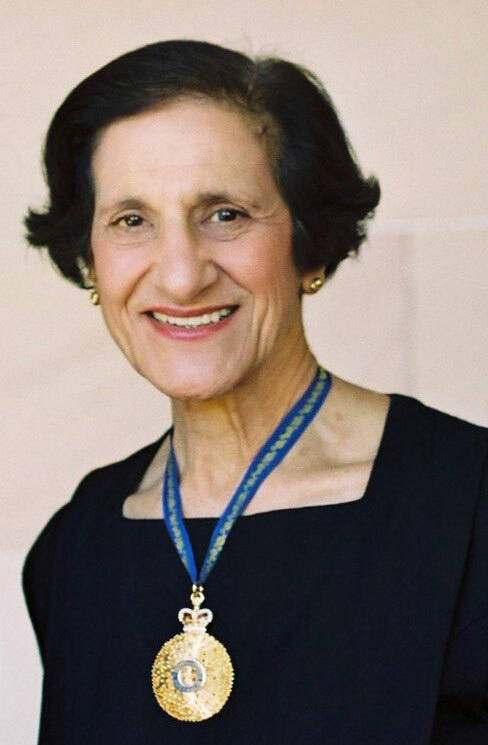 Born, of Lebanese descent, in Narrandera in the Riverina district of New South Wales, and educated at Narrandera Public School and Sydney Girls High School, Marie Bashir gained her bachelor degrees in medicine and surgery in 1956 from the University of Sydney. Dr Bashir taught at the Universities of Sydney and New South Wales, increasingly working with children’s services, psychiatry and mental health services, and indigenous health programs. At the time of her appointment as Governor of New South Wales, she was Clinical Professor of Psychiatry at the University of Sydney (a post she took up in 1993); Area Director of Mental Health Services Central Sydney (from 1994); and Senior Consultant to the Aboriginal Medical Service, Redfern (from 1996) and to the Aboriginal Medical Service, Kempsey. Professor Bashir’s widespread involvements and interests have included juvenile justice, research on adolescent depression, health issues in developing countries, education for health professionals and telemedicine and new technologies for health service delivery. Along with many professional medical association roles, she was, at the time of her appointment as Governor, a member of societies as diverse as Amnesty International, the National Trust, the New South Wales Camellia Research Society and the Tandanya National Aboriginal Cultural Centre, as well as being a patron of the Sydney Symphony and Opera Australia. She was appointed an Officer of the Order of Australia in 1988 for her services to child and adolescent health; and was invested by Her Majesty, the Queen, with the insignia of a Commander of the Royal Victorian Order (CVO) in 2006. Professor Bashir is married to Sir Nicholas Shehadie AC OBE and together they have three children and six grandchildren.